Greetings to my music programming pals nationwide! It’s Andy Gesner and the staff at HIP Video Promo. We’re thrilled to be working again with Of Montreal – though that’s probably not the best way to put it, because nothing to do with Of Montreal ever feels like work. 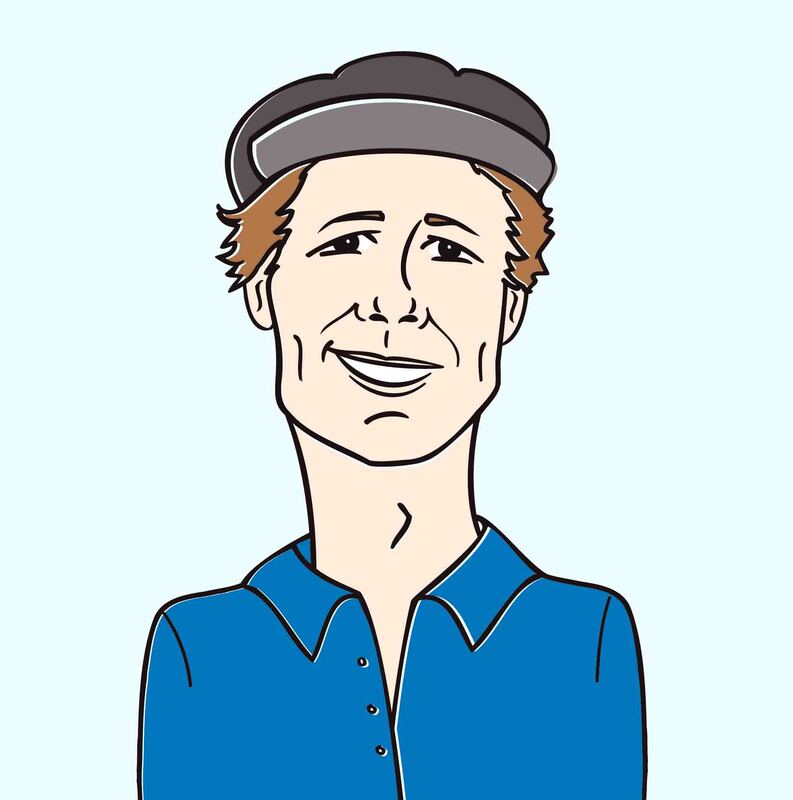 For the past decade, Kevin Barnes’s outfit has produced album after album of playfully subversive, infectious, and occasionally blissful indiepop, and has been an inspiration to oddball songwriters, studious home-recorders, lo-fi champions, freaks, geeks, and everybody who loves the psychedelic Sixties. His voice is an acid twinkle, his writing is rich in whimsy and mischievous delight, and his songs are built to fascinate. With The Sunlandic Twins, Barnes and Of Montreal have delivered their best album yet. We know it’s practically a cliché to say so, considering that’s what almost every press release boasts – but in this case, it’s hard to deny. Prior Of Montreal albums had startling conceptual unity (The Gay Parade, The Bedside Drama) marvelously intricate arrangements (Cherry Peel, Coquelicot Asleep in the Poppies), and black humor (Aldhils Arboretum). But nothing Barnes has recorded before – not even 2004’s heralded Satanic Panic In The Attic, his first release for Polyvinyl – highlights his talents quite so boldly as The Sunlandic Twins does. Seven albums and countless EP and stray releases into a multifaceted career, Barnes has developed a beat-making and programming ability unparalleled in indiepop. It would be misleading to call The Sunlandic Twins a dance-pop album – but make no mistake, you absolutely can get down to this, and should the argyle-sweater set find themselves on the dancefloor, chances are, this’ll be the soundtrack. No hybrid of American tweepop and European disco should work so well, or be so frighteningly compelling, and nothing so intelligent should be this funky. But then we’ve always counted on Kevin Barnes to do the impossible, erase boundaries, and draw connections where none had previously been. “Requiem For O.M.M.2”, a track that looks back at a failed relationship that still haunts the narrator, is the most straightforward cut on The Sunlandic Twins. But even here, Barnes plays and sings with a newfound assurance, leaping from verse to chorus to bridge with remarkable dexterity. It’s a short song, but it’s also a junior whirlwind – packing more ideas into its two-minute length than most bands manage on an entire album. The metaphors are rich and the images are stark, but Barnes tells his story plainly and arrestingly, without the digressions and allusions that we’ve come to expect from him. The video for “Requiem For O.M.M.2” is, similarly, more linear than most clips that accompany Barnes’s songs. That’s not to say that it lacks the characteristic humor or trippiness of Of Montreal videos. Like the brilliant clip for “Wraith Pinned To The Mist And Other Games”, the “Requiem” spot is animated, and bears more than a passing resemblance to Terry Gilliam’s seminal work for Monty Python’s Flying Circus. The story follows a stiff-looking knight in a suit of armor, pining and questing for his lost sword. The camera chases the crusader through a series of pratfalls: down tubes, into the ocean, through altered states, in altercations with strange animals. When the main character finally finds his sword, the plate mail helmet comes off – and the fuzzy cartoon face and long, elephantine trunk of the knight is comically visible. Polyvinyl Records continues to amaze us by finding such prolific artists for our listening pleasure. 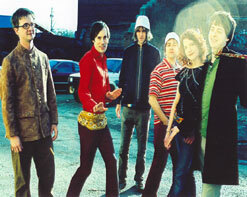 Here at HIP we are jubilant to once again be working with HIP favorite, Of Montreal. After recently finishing up their huge fall tour, the Georgia natives launched their Sunlandic Twins Winter 2006 Tour. The tour commenced January 14th in sunny Honolulu and will cover the U.S. and Canada before wrapping up in Lawrence, KS on March 13th. While out on the road Of Montreal is enthusiastic to set up video interviews and ID’s with programmers across the nation, and of course, we will have plenty of their new LP, The Sunlandic Twins, for on-air giveaways and contests. If you need more info call Andy Gesner at 732-613-1779, or email HIPVideo@aol.com. You can also visit www.PolyvinylRecords.com, or www.OfMontreal.net to find out more about Of Montreal.